In 2009, an estimated 585 million people had no access to electricity in sub-Saharan Africa, according to the World Energy Outlook 2010 by the International Energy Agency. Unlike many other regions of the world, under current assumptions, that figure is expected to rise significantly by 2030 to about 652 million — an unsustainable and unacceptable situation. While national governments and regional organisations have identified the urgent need for accelerated electrification rates, responding to this need will require innovative and effective energy policies. The way future power systems are planned, designed, constructed, financed and operated will have a significant impact on how effectively these aspirations are delivered. The United Nations Secretary-General’s Advisory Group on Energy and Climate Change (AGECC) has proposed a bold target of assuring universal access to reliable, affordable and sustainable modern energy services by 2030. To meet this goal, massive electricity infrastructure development will be required in the short- and medium-term. Efficiency improvements, demand management, optimal generation planning, improved grid operation and increased electricity trade across sub-Saharan African countries will be essential for minimizing the volume of investments needed. In our recently published paper — which reviews the literature, provides a foundation for policy development, and suggests areas for further, more detailed research — we propose that specific elements of current and emerging Smart Grid concepts, systems and technologies may make an important contribution to improving equitable and just access to electricity services in sub-Saharan Africa. Smart Grids combine a range of innovative tools and practices supported by novel business models and regulatory frameworks to help ensure a reliable, secure and efficient supply of electricity services. While there is strong consensus on this overall objective, the precise scope of the term Smart Grids is interpreted differently according to perspective and environment, and it continues to evolve. Given the specific needs of sub-Saharan Africa, it is obvious that a Smart Grid approach for this region cannot simply be a copy of practices in industrialised countries — the starting point, challenges and opportunities are too different. We broadly define the concept of ‘Smart and Just Grids’ for sub-Saharan Africa as one that embraces all measures in support of immediate and future integration of advanced two-way communication, automation and control technologies into local, national or regional electricity infrastructure. The concept aims to optimise grid systems and their operation, integrate high levels of renewable energy penetration, and improve the reliability and efficiency of electricity supply. In addition to being smart, socially just power systems are required in sub-Saharan Africa in order to guarantee access to modern energy services without marginalizing the poor and thus contribute towards equitable and inclusive global economic and social development. Such Smart Grid advances may enable sub-Saharan African countries to leapfrog elements of traditional power systems in terms of both technology and regulation. This could accelerate national and regional electrification timeframes, improve service delivery, minimize costs and reduce environmental impact. 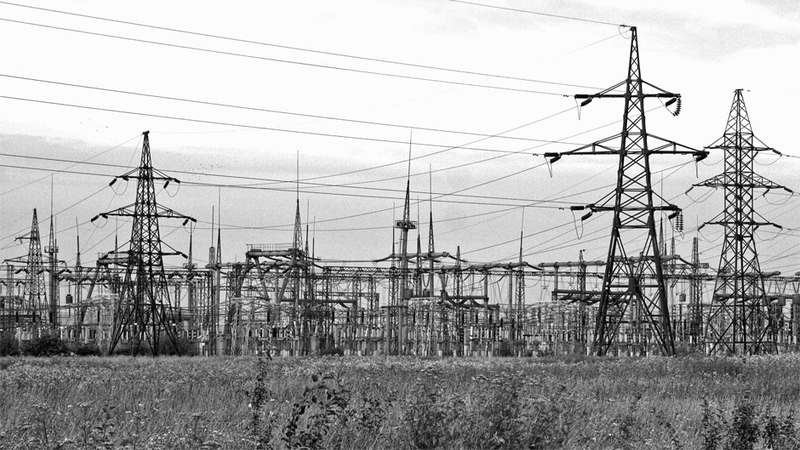 Transmission and substation design: Especially for longer transmission lines, the scale of technical losses can become considerable. Smart Grids can help reduce such losses, for example by improved power lines and transformers, as well as implementing regular maintenance schemes. Distribution system design: Distribution automation technologies can help improve power systems by extending intelligent control. For example, smart sensors and flexible and intelligent switches and interrupters at critical points on distribution circuits will minimise the extent of outages and increase the speed of restoration, while keeping cost increases at a minimum. Smart distribution technologies allowing for increased levels of distributed generation will be especially important for addressing rural electrification needs and minimising connection costs. Smart mini- and micro-grids: Mini-, and especially micro-, grids with high shares of renewable energy are generally complex to implement, primarily because of fluctuating generation and a low load factor. The task of maintaining adequate power quality becomes a challenge, for example due to spikes associated with the starting current of motor loads or the need to provide some form of back-up power. Smart components can help cushion such effects and better balance the overall system, through integrating new demand side management options. Demand side management: Demand side management options for large consumer loads, like load control switches at industrial or institutional facilities, can contribute to optimising the quality of energy services and reducing load-shedding. This usually affects the poorest electricity consumers the most. Radio-controlled interruptible institutional water heaters or water pumping systems constitute just two examples for such load control. As part of load management, a Just Grid could ensure reliable and low-cost access for the poor during off-peak hours, for activities such as cooking, while curtailed access would be provided during times of higher demand. Billing schemes: As many Smart Grid components build on ICT, they might profit from ‘piggybacking’ on future telecom service expansions, such as the provision of electricity consumption information via mobile phones. Charging prepaid consumption credits via mobile phones using prepaid cards or comparable devices may help address the specific needs of the poor and reduce administrative costs related to meter readings and billing. A basic time-of-use pricing scheme at household level may easily be introduced in sub-Saharan Africa to help balance demand. Information systems architecture: Smart data management tools will help utilities distil relevant information in a manageable and understandable format. Diagnostic software will further help monitor the health of grid assets, predict problems in power distribution, and initiate corrective action. The required architecture must ensure interoperability and enable a smooth transition from existing to future power systems. In the future, Smart and Just Grids for sub-Saharan Africa could provide similar functionality to Smart Grids in industrialised countries at full deployment, even though they are likely to follow a different pathway and timeframe. The diversity of the electrification status in sub-Saharan Africa means that lessons learned from other regions may be directly applied in certain areas, while tailored solutions will be required for others. Constraints such as a lack of good governance, limited investment capital, largely inadequate infrastructure and a gap in well-trained power sector personnel are likely stifling innovative practices that could already be occurring organically. While the costs for massively upgrading existing grids to Smart Grids may not be justifiable, the business case when investing in new infrastructure is significantly better, offering noteworthy potential opportunities for sub-Saharan Africa. It will therefore be essential to prioritise specific smart solutions based on clearly defined functionalities that help reduce costs, promote economic growth and improve long-term sustainability. The massive electricity infrastructure requirements in sub-Saharan Africa offer a unique opportunity to learn from grid developments in industrialised countries and move forward without necessarily repeating all previous development stages. We should take advantage of this significant opportunity to ensure that sub-Saharan Africa’s future grid is designed in a way that is both smart and just. This article is based on a paper (available for download in the column on the right) that was authored by Morgan Bazilian, Manuel Welsch, Deepak Divan, David Elzinga, Goran Strbac, Mark Howells, Lawrence Jones, Andrew Keane, Dolf Gielen, V. S. K. Murthy Balijepalli, Abeeku Brew‐Hammond, and Kandeh Yumkella and published by the Energy Futures Lab at Imperial College London. Smart and just grids: Options for sub-Saharan Africa by Manuel Welsch is licensed under a Creative Commons Attribution-NonCommercial-ShareAlike 3.0 Unported License. Manuel Welsch recently joined the International Atomic Energy Agency/KTH Royal Institute of Technology, Stockholm. His research builds on advances in power system planning and design, especially with regard to the current discourse on smart grids. In particular, Manuel will contribute to the development of the Open Source Energy Modelling System, OSeMOSYS. Before joining KTH, Manuel worked at United Nations Industrial Development Organization (UNIDO), focusing on issues pertaining to UN-Energy, the United Nations’ inter-agency mechanism on energy. Prior to this, he worked at the Energy Facility of the European Commission during its first call for proposals for energy projects in developing countries. He concluded his studies in Civil Engineering at the Leopold-Franzens-University in Innsbruck in April 2002. Morgan Bazilian is the Special Advisor to the Director-General of United Nations Industrial Development Organization (UNIDO) on international energy and climate policy. In this role he focuses on helping to shape the United Nations approach to energy for development. Previously, he was Senior Advisor on energy and climate change to Ireland’s Minister of Energy, after directing the clean energy division of Ireland’s national energy authority for several years. Morgan has been the lead climate change negotiator for the EU on low-carbon technology, and a member of the UNFCCC’s Expert Group on Technology Transfer (EGTT). He holds a Ph.D. and Masters degrees related to the techno-economic aspects of energy systems, and has been a Fulbright Fellow. Morgan also supports the International Energy Agency’s World Energy Outlook (WEO), the World Economic Forum’s Clean Energy Investment Committee, and Bloomberg New Energy Finance’s Global Futures, as well as advising the Novus Modus Fund, a clean-tech venture capital vehicle.